335 N Central Blvd Quartzsite, AZ. | MLS# 1005887 | White Rock Realty is now serving the Greater Phoenix area as well as Mesa, Lake Havasu City, Parker, and Quartzsite Arizona. We represent Buyer and Sellers alike in Residential, Land and Commercial transactions. Check out this corner location just across the street from the Palm Plaza strip mall . 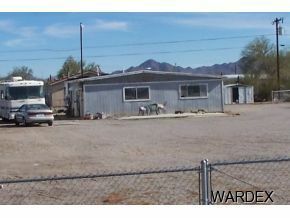 This property not only offers plenty of parking and RV Hookups, but a home as well. The home needs some TLC such as paint and some repairs, but is priced accordingly. Because the property is zoned commercial it can have many business purposes.